RIP Internet privacy rules. 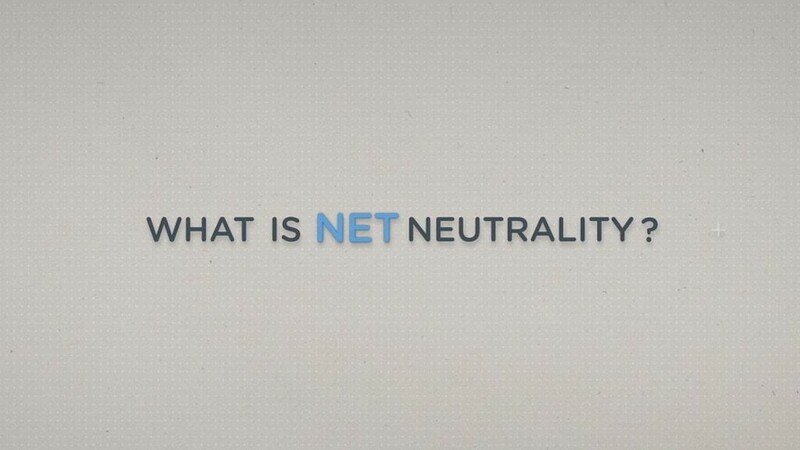 Is net neutrality next? President Trump signed off Monday on killing Internet privacy protections, despite an outcry from consumer and technology groups. But this controversial repeal may be just a teaser for an even bigger battle to come: net neutrality. In 2015, the Federal Communications Commission voted to assert more regulatory control over Internet providers by reclassifying them as common carriers. With that new authority, the FCC imposed restrictions on providers that were intended to keep the Internet open and fair. The net neutrality rules prevent Internet providers from playing favorites by deliberately speeding up or slowing down traffic from specific websites and apps. A provider like Comcast (CCV) can't simply let its own video content load faster than Netflix (NFLX), or charge Netflix more money to get fair treatment. That reclassification also laid the foundation for the FCC to approve Internet privacy protections last year. The privacy rules, which had not yet gone into effect, would have required providers to get your permission before collecting and sharing your personal data. The decision of Trump and the Republican-led Congress to repeal the Internet privacy protections has now renewed concerns that they'll go after net neutrality. "It's just foreshadowing of much broader rollbacks to come," says James Cakmak, an analyst who covers the Internet sector for Monness, Crespi, Hardt. Both the Trump administration and the new chairman of the FCC have hinted at this. While discussing the Internet privacy vote last week, White House Press Secretary Sean Spicer criticized the Obama administration for reclassifying Internet service providers and creating "an unfair regulatory framework." "The president pledged to reverse this type of federal overreach in which bureaucrats in Washington take the interest of one group of companies over the interest of others, picking winners and losers," Spicer said. The "winners" in this case would have been Internet companies like Google (GOOGL) and Facebook (FB), which were not subject to the same regulatory burden as the providers. Ajit Pai, the FCC chairman appointed by Trump, also criticized the agency's broader regulatory approach to providers. Pai previously called the net neutrality rules a "mistake" and has begun chipping away at them. Pai could initiate a new rule-making process at the FCC to overhaul net neutrality, or Congress could move forward with legislation. Some Democrats in the House and Senate raised concerns about the fate of net neutrality during the Internet privacy vote last month. "Net neutrality is on the chopping block," Senator Edward Markey said on the Senate floor. "And this is their first step to ensure the few and the powerful control the Internet."